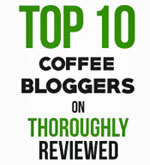 Which is the best home coffee maker? 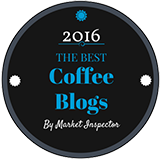 The best home coffee maker? That depends on how many you are, and how often you make coffee. 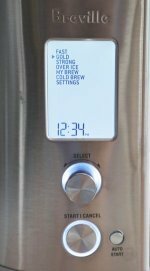 There is no one-size fits-all best home coffee maker. You are going to have to figure out the answer yourself, depending on how many coffee drinkers there are in your home, and how often you like to drink coffee during the day. Let’s look at a few different scenarios. 1. There are just one or two of you, and you like to make a fresh cup of coffee at various times during the day. If you spend much of the day at home and like to enjoy the occasional cup now and then, consider one of the single-serve coffee makers. Using single serve coffee makers, like one of the Keurig K-Cup brewers, or the Senseo coffee pod brewer, costs a little more per cup. But every cup of coffee you make is fresh. So you don’t get that stewed taste that comes with leaving a carafe of coffee on the hotplate for too long. 2. There are two or more of you, and you binge on coffee before rushing out to work. In this scenario, a good drip brewer should work for you just fine. Eight or ten cup brewers are really popular and there is plenty of choice. If you really do run out the door, maybe choose a model with an automatic cut-off. Just in case you forget to turn the brewer off. You can buy a drip coffee maker locally or, for a wider choice, at Amazon.com. 3. Same as number one, but you’re not interested in fancy coffee makers. If there are just one or two of you drinking coffee, at various times during the day, and you’re not interested the extra convenience of a single-serve brewer, get yourself a French press. Yes, you have to clean up afterwards. But that’s the work of just a couple of minutes. A really good quality French Press is the Bodum Chambord Coffee Press.